Carrier Infinity communicating air conditioning and heat pump systems utilize digital controls that allow the indoor and outdoor units to exchange real-time data and modulate operation accordingly. Carrier Infinity communicating controls collect data from system components and perform self diagnostic functions. The system reacts automatically to changes in indoor and outdoor conditions. Carrier Infinity Controls are available on high efficiency variable Speed and Multi-stage Systems. Variable Speed Air Conditioning Systems utilize digital technology to modulate system cooling capacity from 25% to 100% ramping as needed to maximize performance and efficiency. Variable Frequency Drives are utilized with Inverter Drive Compressors to ramp indoor and outdoor unit speeds up and down in response to real-time demand. Carrier 2-Stage systems automatically shift between high and low speed operation as needed to maximize performance and efficiency. Multi-stage systems are capable of maintaining lower indoor humidity levels than single stage systems. 2-Stage systems operate in low speed most of the time and every single night keeping relative humidity levels in check in occupied and unoccupied homes and condominiums. Single stage air conditioning and heat pump systems operate as a constant speed and cycle completely on and off in response to thermostat set points. Until the 1990's, most residential systems were single stage. Single stage systems utilizing variable speed indoor air handlers have improved efficiency and can be configured to control indoor elative humidity levels better than fixed speed air handlers. Multi-Zone air conditioning and heat pump systems operate from multiple thermostats located in separate rooms served by the same system. Duct mounted zone dampers modulate airflow delivery to individual rooms in response to individual user set points for each thermostat and in response to the real-time heat load of each room. 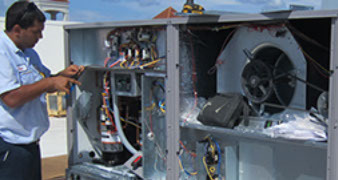 Carrier has been the leader for decades with rooftop air conditioning systems and large split system s engineered for retail and other commercial uses. 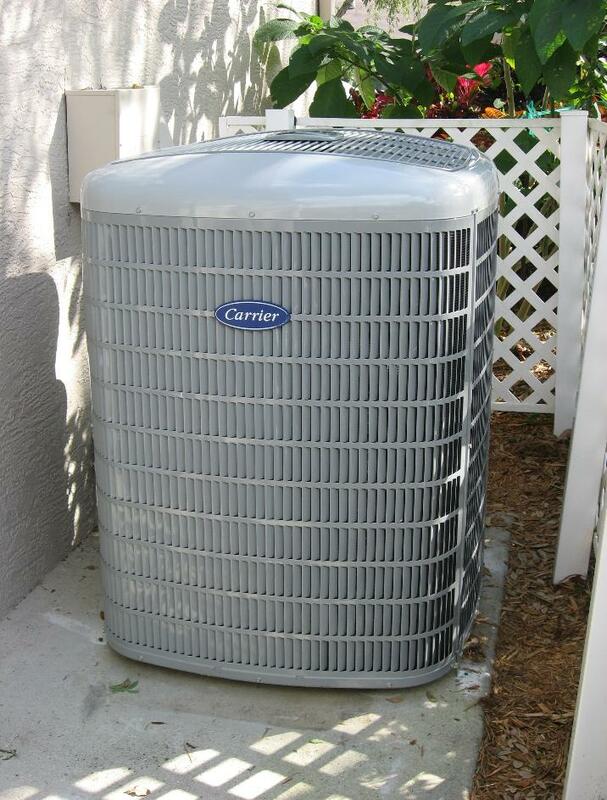 Carrier commercial air conditioning products serve many of Naples finest multifamily and commercial buildings.